We at eShield™ believe that our actions speak for themselves. 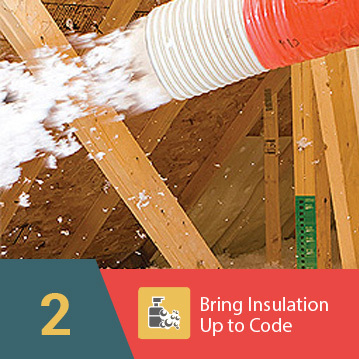 We deliver on our promise to provide quick and effective insulation solutions to our customers. If you’re still not convinced, we invite you to watch some videos of our products in action. You can see in detail how our installation process works, as well as listen to some of the amazing feedback we’ve received from our satisfied clients. In this video, we see our highly-trained technicians installing eShield™ attic insulation in a large Georgia mansion. It doesn’t matter how large your attic is, our installers have the experience and knowledge necessary to get the job done right. 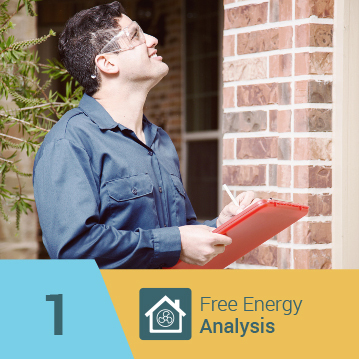 Before they perform their installation, our experts will conduct a full home energy analysis to identify other areas that may be leading culprits in heat loss. Once these areas have been discovered, we can propose solutions that will also help decrease your monthly energy bills – from sealing cracks in doors to replacing old, drafty windows, and more. This is a complete look at a finished eShield™ multi-layer thermal reflective barrier insulation installation. eShield™ is a state-of-the-art insulation product that features both a high R value and E value because of its NASA-created high density fiberglass core. This means, unlike traditional types of insulation, eShield™ protects against all three types of heat transfer: convection, conduction, and emission. 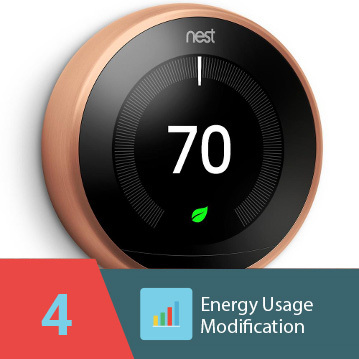 This complete protection will result in big savings on energy bills for homeowners. eShield™ can cut energy costs by up to 25%. 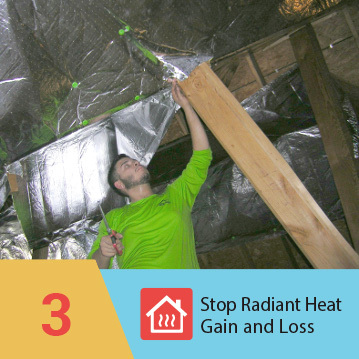 Since eShield™ green insulation is a retrofit product, it can be installed on top of existing insulation. So homeowners who want the superior energy saving capabilities of eShield™ won’t need to pay extra to have their current insulation removed. We have a team of highly trained installers who are all certified to install eShield™ in attics, roofs, rafters, floors, basements, and more. Our contractors can also perform an analysis of homes to determine which areas are the leading energy wasting culprits. Once these areas are identified, our contractors will propose solutions that can lead to significant savings on monthly energy bills. This site in Social Circle, GA was recently outfitted with eShield 11000™ reflective foil insulation. eShield 11000™ is a patented reflective foil barrier insulation that can significantly reduce a home’s energy consumption, resulting in lower energy bills. Made from the same multi-layer radiant barrier technology developed by NASA, eShield 11000™ features an unmatched combination of high density fiberglass with 99% pure reinforced reflective aluminum. This allows eShield™ to resist 97% of all radiant heat. It also has an R-value of 11.6, meaning it is very effective at blocking conduction and convection as well. This eShield™ insulation installation in Bristol, Connecticut addressed five major issues common to homes with ice dams and icicles: poor ventilation due to insulation over soffit vents, cracks and slits in roof decking allowing for heat loss and gain, duct work in the attic, chimney coming up through the attic, and typical mass insulation that lost its R value over time. Installing eShield™ can solve all these problems. In fact, studies have shown that simply adding eShield™ is more effective than installing an additional twelve inches of fiberglass insulation. By boosting a home’s sustainability, eShield™ can also result in much lower energy bills. In this testimonial, Mr. Hardaman of Covington, GA shares his positive experience with an eShield™ attic insulation install. After having eShield™ installed in his attic, he has saved about $70 per month, an average that exceeds 25%. These savings are possible because eShield™ effectively reflects outside heat during the warm summer months and successfully retains heat during cooler winter months, allowing inside home temperatures to remain steady. This is because eShield™ is a multi-layer thermal reflective product that features an ideal combination of high density encapsulated fiberglass and a dual reflective shield made of 99% pure aluminum.